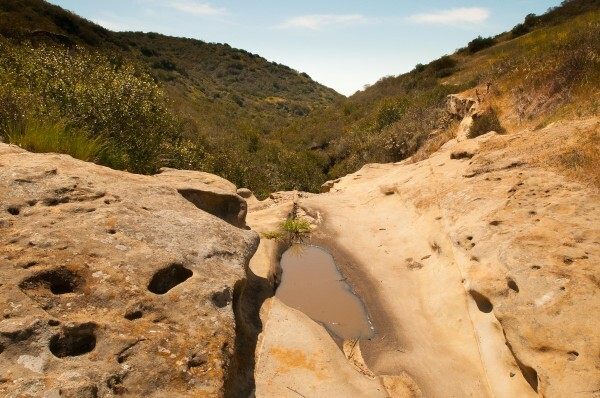 Above El Morro Elementary School, at Laguna Beach’s northern edge, is a trail access entrance to the upper portion of Crystal Cove State Park. 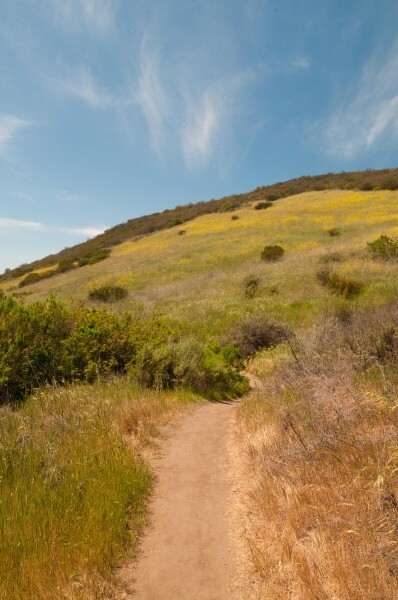 Those who hike the trail that leads up into El Moro Canyon are confronted with a diversion to the south, the Moro Ridge Spur, the East Cut across to the Moro Ridge or the north West Cut. The latter allows access to Deer Canyon and Red Tail and No Name Ridges. 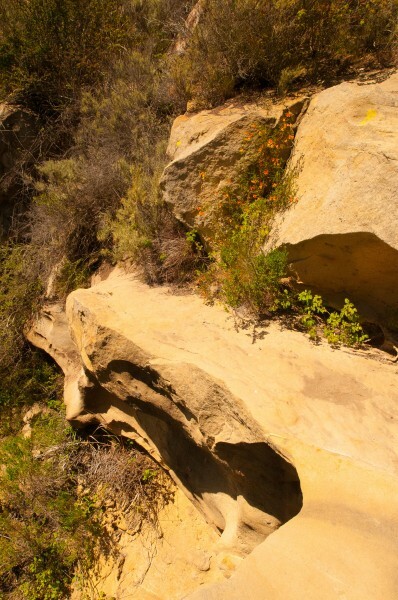 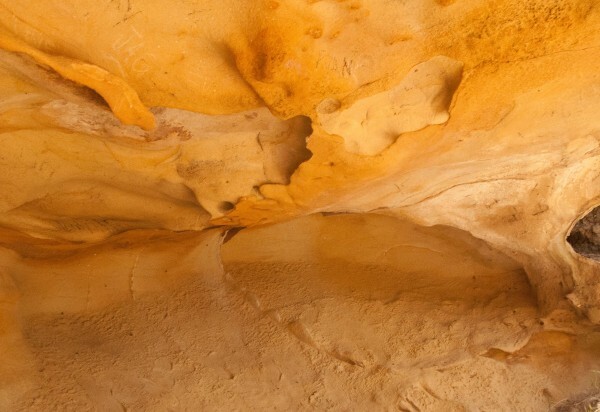 Deer Canyon has a camp site, a cave and in wetter seasons, a creek with a beautiful waterfall.